Home AgeWise What’s in a Number? There are women in their 90s who dance, play sports, and laugh a lot. There are also women in their 50s who complain about constant pain and can barely make it down a few steps on their own. 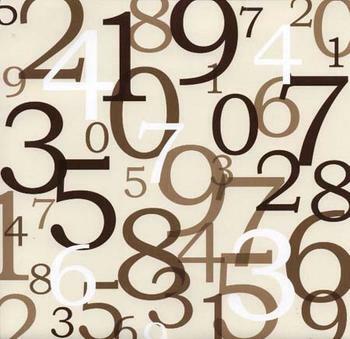 The number signifying your age doesn’t determine what your life should be like. It shouldn’t define or constrain what you can do. That is determined primarily by the choices you make about what you think and do. You are more than a number. Author, physician, and thought leader Dr. Christiane Northrup writes in her latest book: “Don’t pay attention to your age, whatever it is.” She describes women in their 80s and 90s who teach yoga, still drive, travel the world, and take no prescription meds. She compares them to much younger women who have chronic conditions and take numerous medications daily. When you identify yourself based on the number of years since you were born, you’re missing the mark. As the adage goes, you are as old as you think. And what you think shapes how you age. So instead of looking at a number and trying to conform to what you have been told a person of that age looks and acts like, get in touch with how you feel inside. Connect with your deepest self. Allow your authenticity to shine through. Act according to how you feel, not according to how old your age says you are. When you move beyond a number, you free yourself to experience the fullness of your life. When you attach to a number, you fall into the trap perpetuated by society that makes you old before your time. Surrounded by images of frail, gray-haired women and messages about incontinence on TV, it’s easy to believe that just because you are no longer a 25-year-old you are somehow no longer vital or attractive. Buying into such cultural expectations can cause you to limit your life just when you could be expanding it more than ever. Avoid labeling yourself as “old” or “over the hill.” When you hold those kinds of thoughts, you set up a self-fulfilling prophecy. When you catch yourself thinking in such a negative way, stop and replace those thoughts with something like “I am healthy and vital and in the prime of my life.” There is scientific evidence that by choosing such thoughts, you can change the way you age. While studying in the field of aging and recently completing a masters in gerontology, I came across a number of research studies that demonstrate the dramatic connection between the thoughts we habitually hold and the health of our bodies. This mind-body connection plays a major role in how we will age. By mindfully choosing to maintain empowering and calming thoughts, we can enhance the ability of our bodies to avoid disease and to heal. This is such an important idea that I will be sharing much more about it soon. For now, know that you have a choice: you can fall into the trap of identifying yourself as a number or you can decide to open your mind to greater possibilities. Paraphrasing a biblical verse, as you think so you will be. Here’s to not living life by the numbers!